Here are early Troop 6 members gleaned from old charter renewals, courts of honor, newspaper clippings etc. 1921: - Recalled by Harold Homan in 1961. 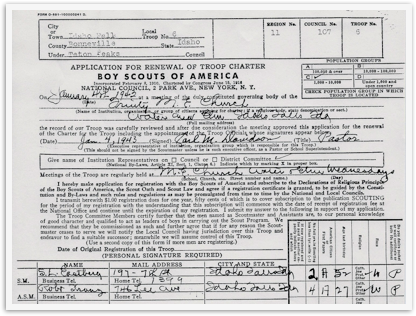 1931 Scouts: - From Quentin Tobin’s letter in 1983.